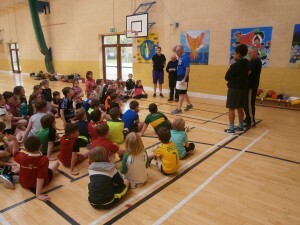 Kenmare Kestrels Easter Basketball Camp was a huge success. Thanks to James Weldon and Co for loads of fun basketball. Please keep an eye on our Kestrels Facebook Page over the summer and listen out for our registration day in September and the start of our new basketball season…keep dribbling and shooting all summer long! Go Kestrels!